Termination of services letter is written to terminate any service agreement between two or more parties. It can be between companies, individuals, and governments. Many reasons can contribute to service termination such as poor quality of service, new developments or shifting of service providers. 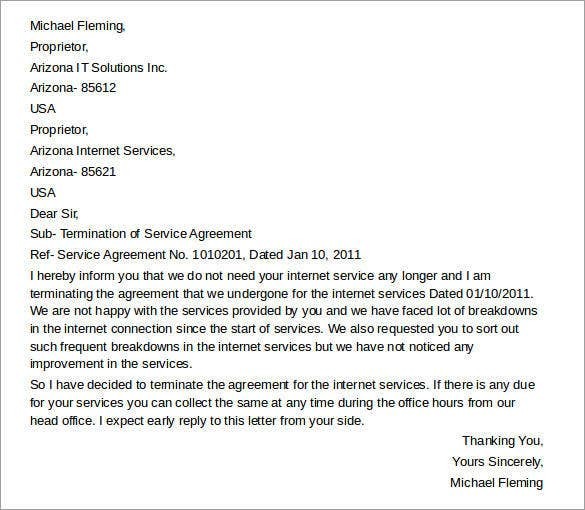 A service termination letter should follow the official letter protocol. 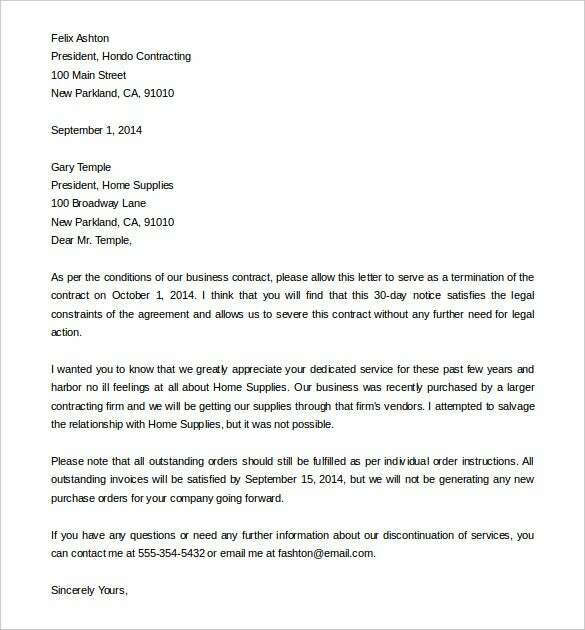 you can also see Rental Termination Letter. 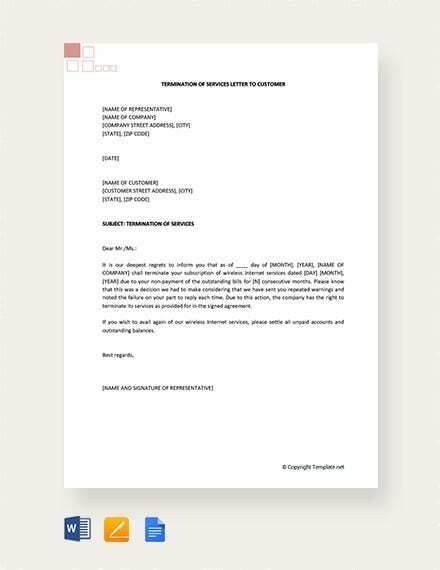 If you no longer require the service provided by another business and want to terminate the contract, then you should use the download business service contract termination letter sample. You may also see Probation Termination Letter. 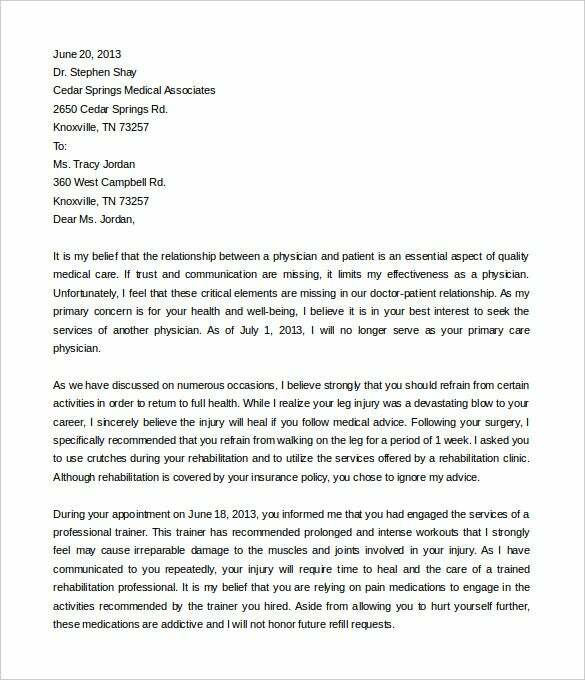 If you feel there is a lack of trust and miscommunication present between you and your patient and you want to end the doctor patient relation, then you have to use the free termination of medical services letter template sample. 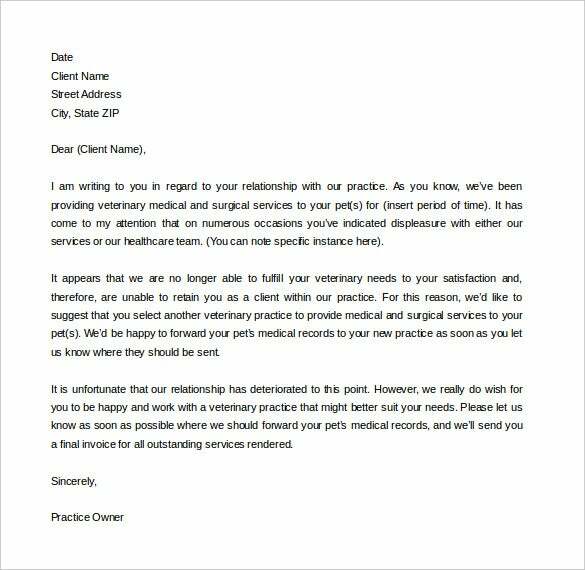 You may also see Customer Service Cover Letters. 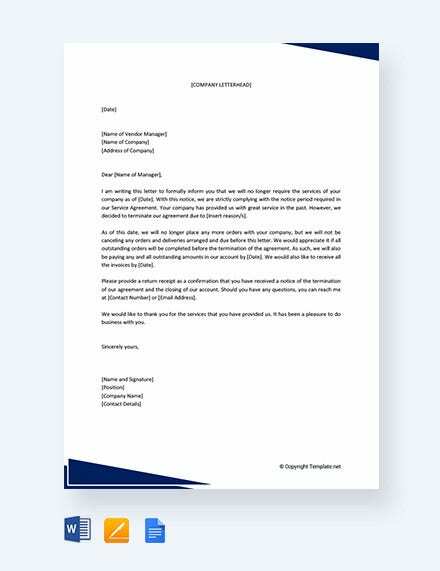 The download termination of services letter due to absenteeism sample is a brilliantly drafted sample termination of services letter template that can be used to terminate the employee for low attendance. 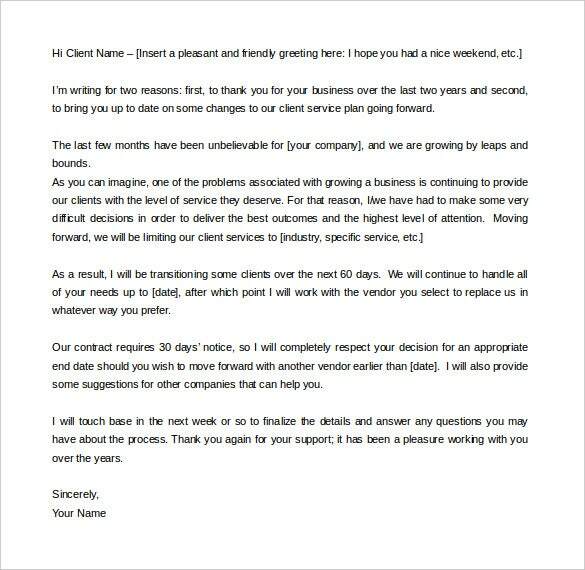 You may also see Company Termination Letter Templates. 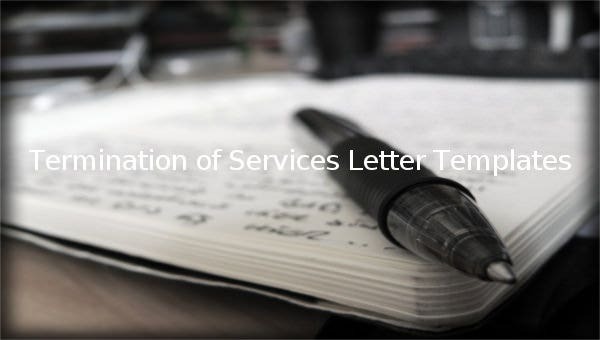 If you want to terminate the service because of continuous delay and irregular payments, then you should definitely use the termination of services agreement letter example download to terminate the service. 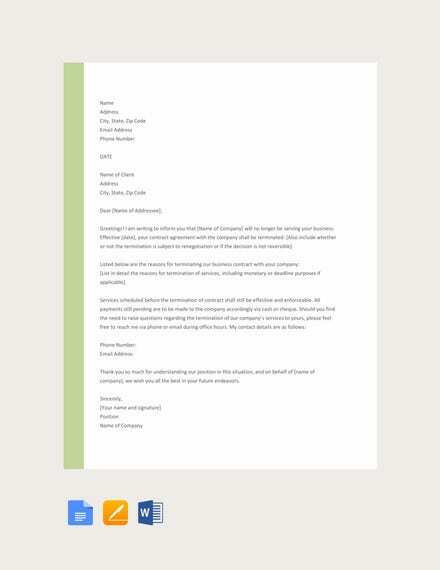 You may also see Official Termination Letter Templates. 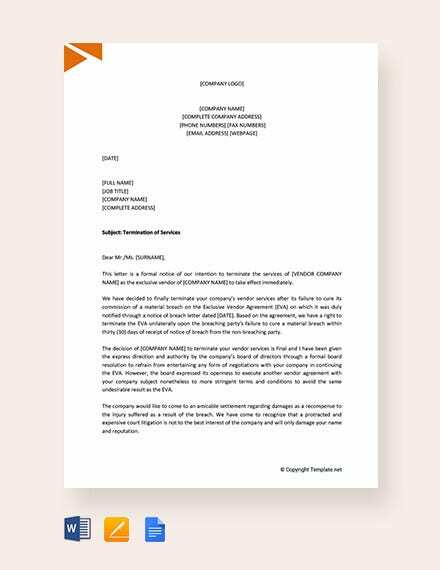 The sample termination of services letter to customer word doc is a well drafted and well created sample termination of services letter template which explains in detail about the termination decision. 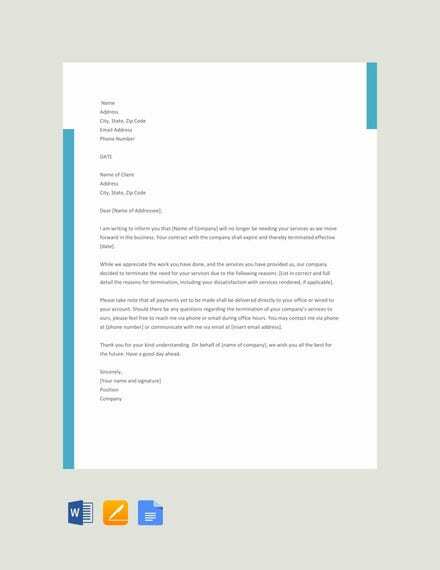 If you are not happy with the service provided and you are looking for alternatives and want to terminate the contract, then you should use the free termination of services contract letter template sample. 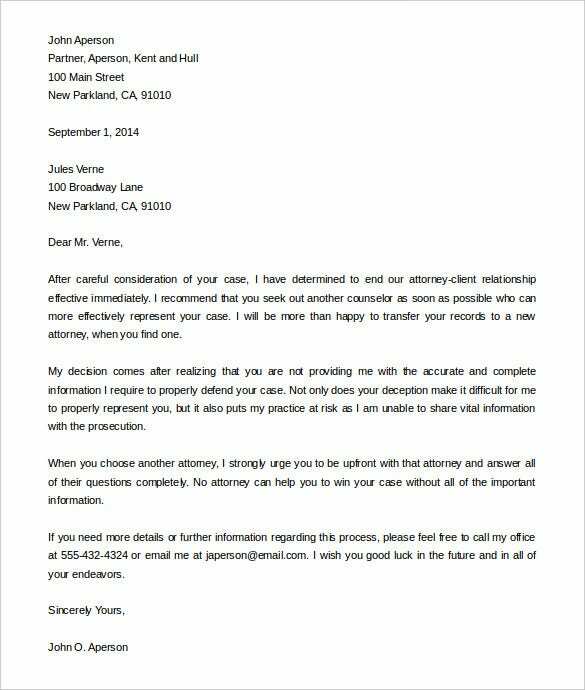 The termination letter should be professionally written and it should not express unnecessary emotion. It should be rational and proper etiquette and courtesy should be observed. This means that there should be no foul or rude language. The reasons for termination should be given and any other relevant issues should be soberly addressed. 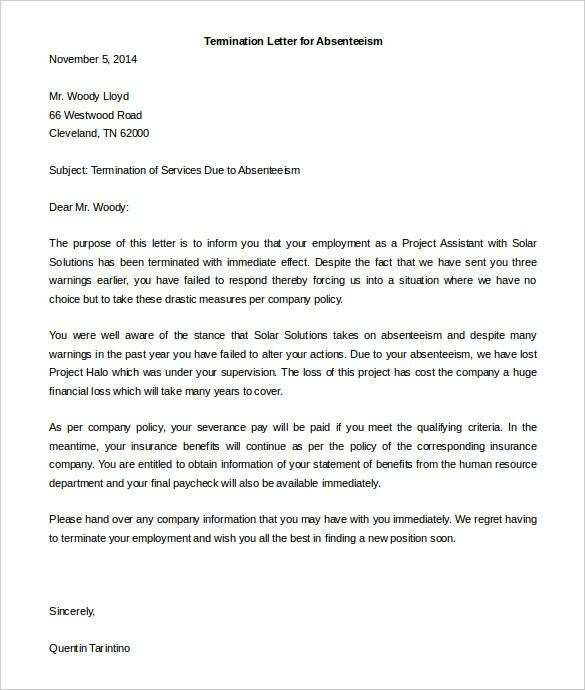 You may also see Official Termination Letter Templates.